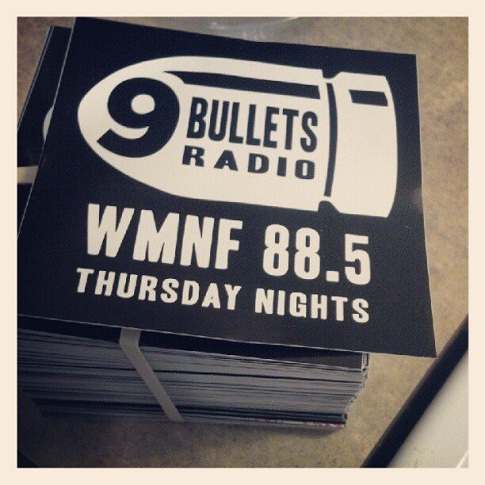 My blogger colleague Bryan at NineBullets runs a radio show on Thursday nights on Tampa public radio at WMNF.org. Below is last Thursday night's playlist. Of the 15 tracks played, less than 1/2 are available to purchase today. Bryan played brand new Gaslight Anthem, Waylon Jennings, Roger Hoover, Doc Dailey & Magnolia Devil, Brothers of the Last Watch, Joey Kneiser, American Aquarium, and Patterson Hood. You can stream the archive of the show for the next week.